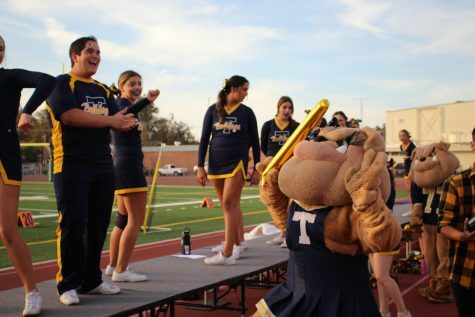 One big event that happened at Harvest Bowl was the halftime show with our Turlock High School cheerleaders and mascot. Both Junior Varsity and Varsity did an outstanding job at wrecking Pitman High School this year. 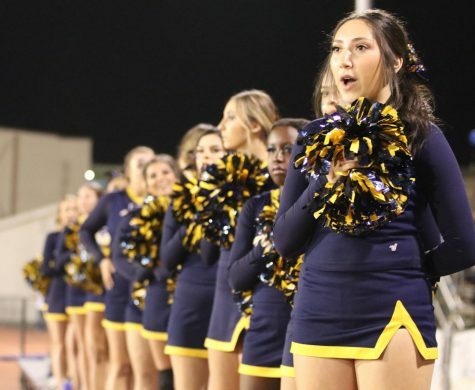 The cheerleaders’ determination and drive to perform was easily visible in their routines. It was plain to see that they did their best to impress the crowd, get them cheering and on their feet. Both squads performed well-rounded routines involving a wide variety of stunts, from simple basket tosses to a kick line done in a true mesmerizing Bulldog style. Brenda the Bulldog joined in during the Varsity routine to add that extra Bulldog flair. 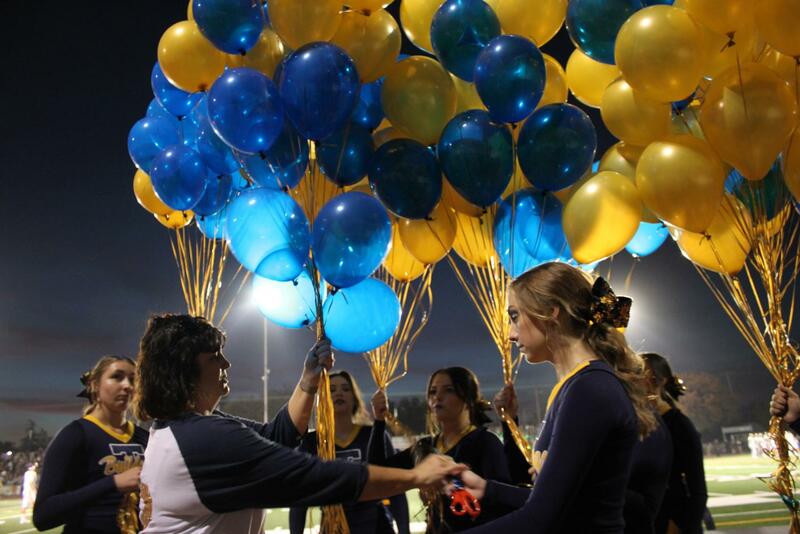 Junior Varsity Cheer’s halftime cheer act involved a number of tricks. The routine went from throwing flyers over flyers to forming a pyramid with two flyers on the sides doing heel stretches. The Junior Varsity dance was excellent, all the tricks and moves were well planned. The coordination and energy shown in the performance was phenomenal. Varsity cheer’s dance was just as impressive in both stunts and energy. It involved many more feats and flyers which made it a cheer performance worth watching. The excitement made present by the act was a bigger add on to the whole game. It was amusing to see the cheerleaders perform such risky stunts with little to no effort. With all the stunts and flipping, it made for an interesting halftime show to make a really great night of football even better.